Race Orthodontics is proud to congratulate our founder, Dr. Charles Bohl, on over 40 years of extraordinary care to the community. Dr. Bohl’s much- deserved retirement began in 2015 after a long and distinguished career. He was fully devoted to his patients, their families, and the Brookfield, Wauwatosa and Mukwonago communities all of whom have benefited from his expertise and dedication. A Wisconsin native, Dr. Bohl attended Valparaiso University where he received his B.A. in Chemistry, with a minor in Biology. He then attended Marquette University School of Dentistry, receiving his DDS and a Master’s Degree in Fixed Prosthodontics. 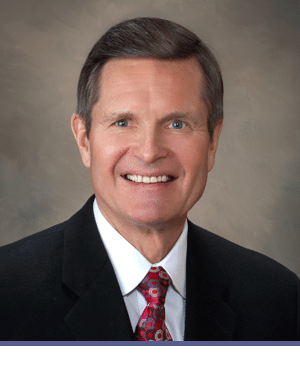 Dr. Bohl began practicing Orthodontics in 1976, after completing a residency at Loyola University Dental School, and earning both a Master of Science Degree in Oral Biology and a Certificate of Specialty in Orthodontics. Dr. Race joined Dr. Bohl in 1995. They worked side by side for over 20 years building a state of the art practice at Bohl and Race Orthodontics with a reputation for quality and excellence. After a long and successful career, Dr. Bohl retired and Dr. Race is committed to continuing the legacy they have established together as the trusted Orthodontic office in the community. Race Orthodontics will continue the 40-year tradition of superior results the practice was founded and built on.